Static caravans are a great investment in holidays. They are ideal for when you need a break from the mayhem of everyday life and perfect for family holidays. However, caravans can age fairly quickly and if you purchased your holiday home some time ago, it’s worth considering a static caravan upgrade. 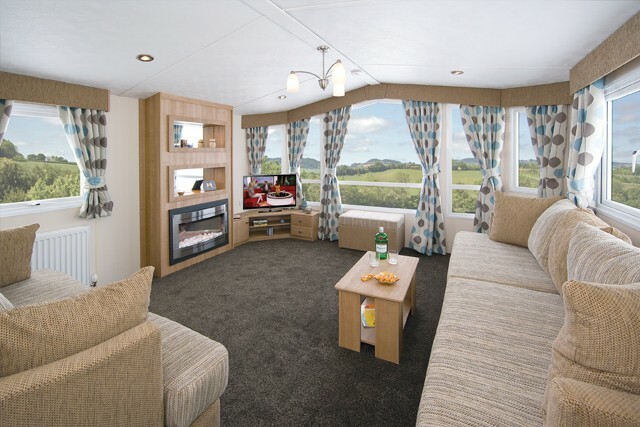 Whilst this may seem challenging, upgrading a Static Caravan is actually quite easy to do. Here are some tips that will make your caravan look as good as new and make it more efficient. The exterior of many caravans is made from aluminium. To give your holiday home a brand new look, consider cladding with a material similar to vinyl. This type of cladding will also insulate your caravan so you’ll be more comfortable in the winter and use less energy for heating. Check out local firms that specialise in Static Caravan Decking or Cladding. If space allows, add decking. It not only looks good but also gives you a lovely area to have meals in the summer and an outside space to relax in. If your caravan has single glazing you will be losing a huge amount of heat through the windows. By replacing them with double glazed units you will notice a remarkable difference in the colder months and also in your energy bills. Another advantage of double glazing in a caravan is that it reduces condensation which in turn minimises mould. Fixing and upgrading a caravan for a DIY enthusiast is a “piece of cake”. It also doesn’t cost a fortune. If your kitchen is looking a bit tired you can either replace it or just change the doors, cupboard handles and work surfaces if the carcasses are in good condition. If you don’t have free standing furniture, which most older models don’t, recovering the seating with a new fabric will positively transform the interior. Using bright and bold coloured fabrics will create a feeling of more space or if you are not a fan of bright colours, hang some polished metal mirrors which will create the same effect. If you think upgrading a static caravan in any of the above ways is a bit too challenging for your skills why not consider upgrading to a newer model and trading in your existing holiday home against the cost of it. At Golden Gate Holiday Centre we have access to a comprehensive range of new and used caravans for sale and will be happy to help. Get in touch.